With more people investing time and energy in decorating their homes, there is an increased interest in picking the right styles for their homes. Modern and contemporary designs are more popular because of their simplicity. While they are attractive to look at, such designs are often easy to maintain over a period. 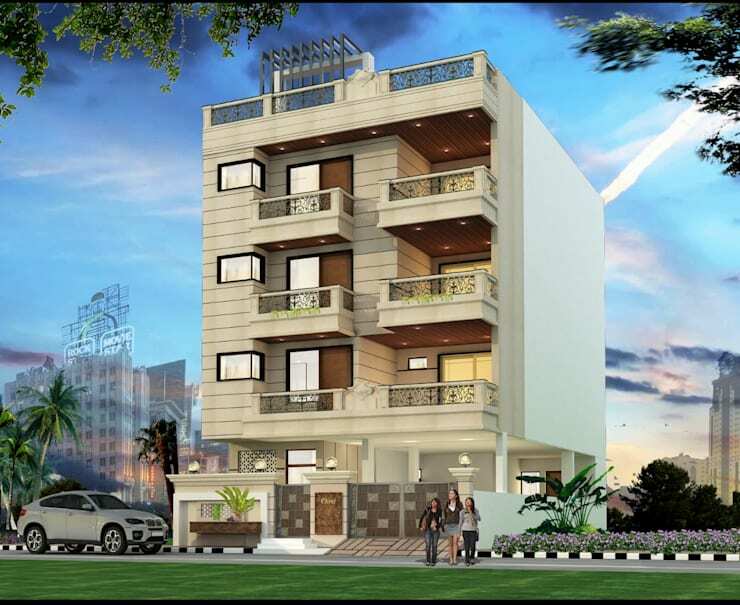 The architects of Divine Architects, Jaipur have put together absolutely wonderful and charming interiors for this home. Rich furnishing contrasted by the right colors brings out the beauty of the architecture. 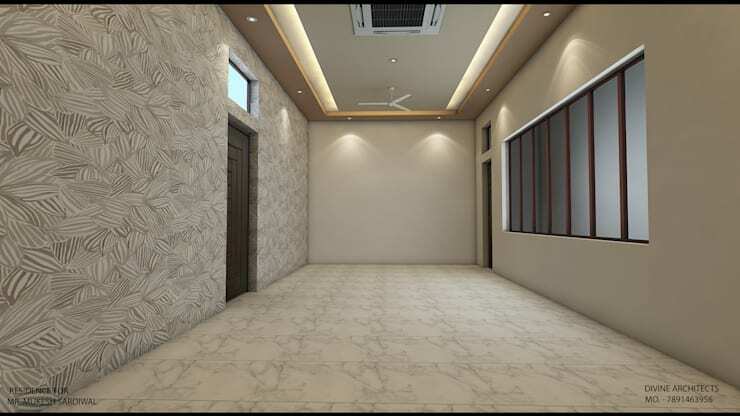 The interiors of a home are extremely important but the outside appearance of space does quite a bit in projecting the right image. Here, the apartment looks balanced in terms of design and contrast. Well-placed balconies have been designed to perfection with wood ceilings. 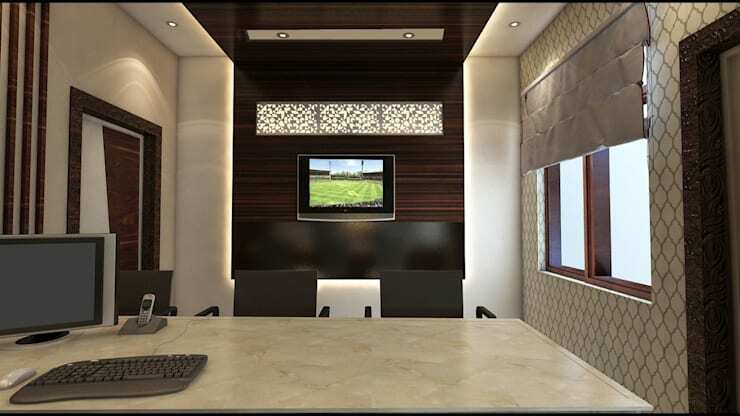 This room has been designed to be a work area. The simplicity of the colors and shades is what grabs your attention immediately. The walls feature a lighter tone on one side while a formal yet modest wallpaper in coordinating tones has been picked for the other. Dark brown wood has been chosen as a backsplash for the TV which sits opposite the work desk. 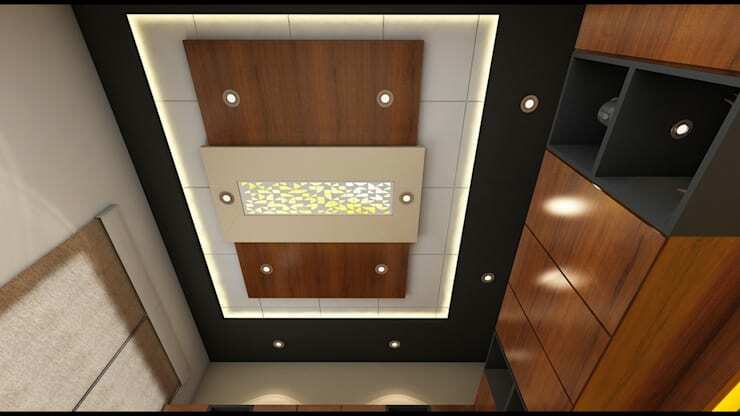 There are numerous ways to dress up a ceiling and you can go from modest to elaborate based on your preferences. Here, a simple method of contrasting shades makes for an impressive look. By using focus and accent lights, the room has been made functional and striking. 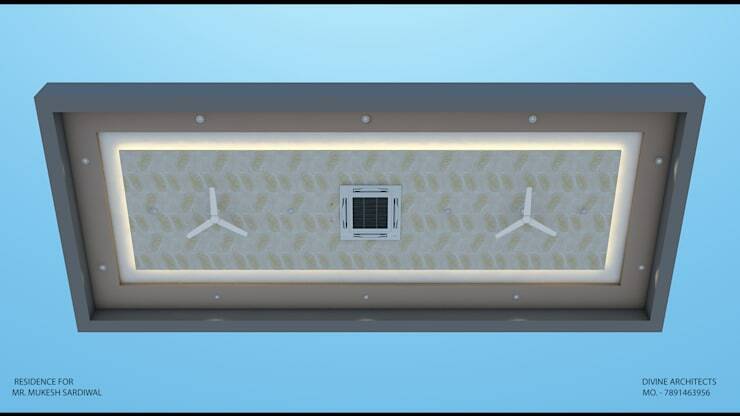 This is a blueprint of the design for the ceiling where two ceiling fans sit on opposite ends of the ceiling. The central portion has been used to feature an AC duct which can keep the room cool. Using light and subtle tones, the designers have chosen to go with the understated. This is a room that looks impressive and striking thanks to the understated elegance in the style. A wallpaper which features a subtle pattern seems to set the stage for the rest of the room. The tan colors have been contrasted well with wood doors and window frames. Lighting has been used effectively in the ceiling to give this space warmth. This is a charming bedroom design as it encompasses everything you will need to create the perfect private space. The large and imposing headboard seems to hog the limelight in this room. The wood frame adds just the right contrast. There is a wonderful charm in creating a fluid space that combines the indoors and the outdoors. Here, the lovely wood floor makes for a wonderful contrast against the bright green patch of lawns. 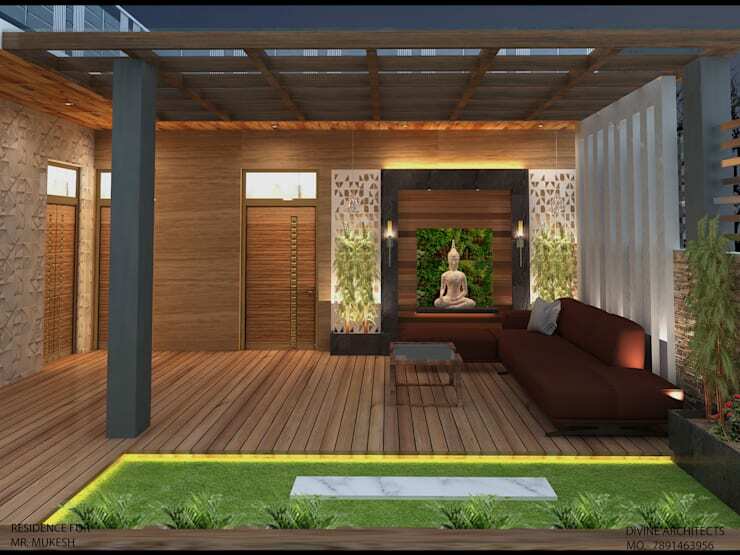 A simple seating area that includes a small space for an idol of Buddha makes for the perfect relaxation spot in the house. 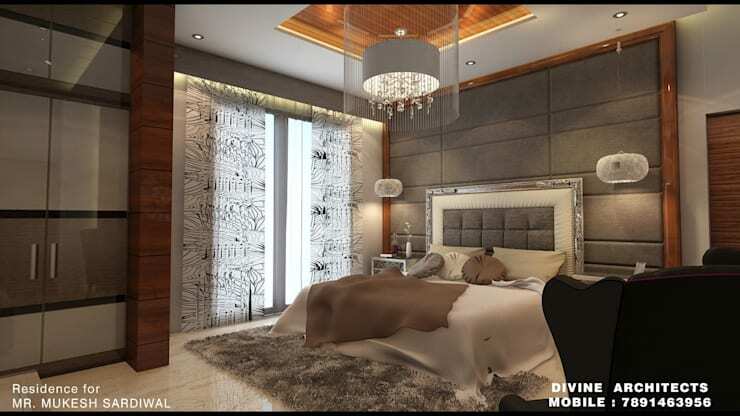 For more inspiring ideas check out this ideabook— Custom bedroom ideas by designers in Jaipur.